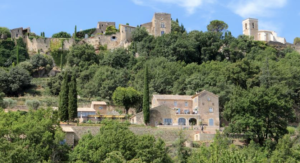 HomeAllB&B’s in Gordes : Which one is the Best …for You ? 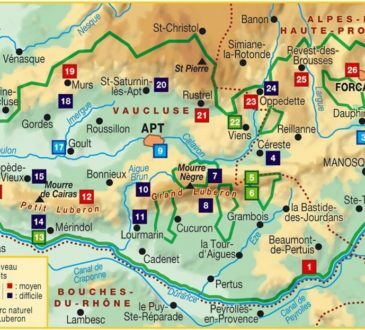 We have made a comparison with 4 other ones which are in Gordes area and which, we think have common points. 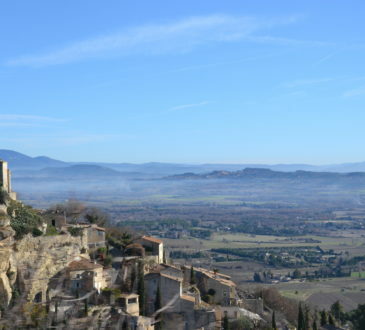 They are ” Les Terrasses Gordes”, which is in the countryside off the beaten tracks 10 minutes from Gordes Center, Mas de la Tannerie, Mas de la Beaume and Domaine de l’Enclos which are right in Gordes. And Bastide du Tinal in Menerbes. It is 15-20 minutes from Gordes. They are above the competition in terms of global hospitality. So here you will have a brief review which puts in front the essential pro’s and con’s. Ranking Tripadvisor Luberon & Quantity of Reviews : We are largely the first in this respect. The main reason is we pay a lot of attention to everyone of our guests. We have made the adjustments, when necessary, to offer an optimized performance. Also we have the largest proportion of International travelers ( who look happy). Closed Parking : We have a fully secured parking area inside the property. At this level, almost everyone has. 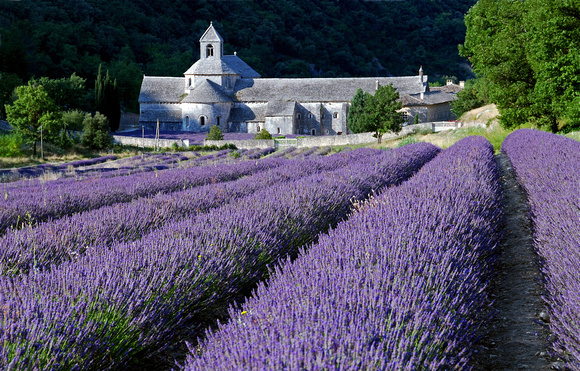 Children accepted : Many people want to visit Provence with their children ( or grand-children). So, we accept (“well educated”) teenagers without restrictions. We have twin rooms ( Dreams & Vineyards) which are perfect for that. We also accept babies as long as they are not able to walk ! ). Rates Range : We are medium. People must know that, in general, our rates are below Booking.com and others by 15% ( the % of their commission). Some prefer know it but prefer to book thry Booking.com anyway as it looks safer. Credit Cards : We take AMEX and Maestro. For guests from Brazil and others, payments can be cash. Quantity of Reviews by Booking.com. They take into consideration the reviews realized during the 24 past months. Mas des Etoiles less reviews for these reasons : We have more bookings coming direct from our website because we make clear that there is a price advantage to book thru us ( We also have more repeat business) and the length of stays are longer. 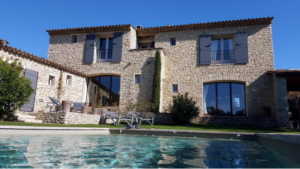 The incredible quantity of reviews with Mas de la Beaume B&B and Domaine de l’Enclos clearly indicate they mostly have short stays ( and is what they are looking for). In general the ratings are high as Booking.com has to sell ! 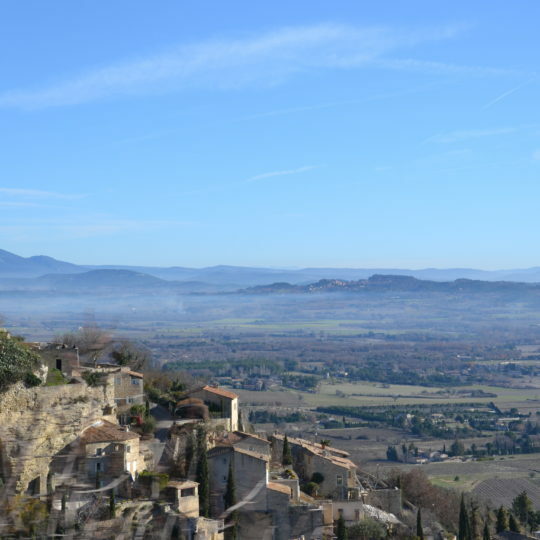 The worst places in Gordes are still rated 8,0. (Also you often have incredibly glamorous reviews made by friends and relatives) . Total Average : The results are very similar. The ratings are high and seem to mean that expectations are fulfilled. Chambres d’hôtes Gordes- Mas de la Tannerie is an exception and the marks are supported by guests comments. Unusually the breakfast is not included in the room rate ( 15 EUR / person.) So the rates indicated on Booking.com are just misleading ! Cleanliness, Comfort, Equipments : No specific comment. In fact we all have some advantage. Personnel : We are leading with Mas de la Beaume B&B . Mas de la Beaume B&B is a bit like an hotel but it is run by a charming Belgium lady. She knows well what Hospitality means. She is delicate, speaks excellent English and her interior is real nice. I would say, besides the decor which is exceptional, the overall value is excellent. We are good just for a few reasons : Annette and I, we care a lot about you and make everything to get you satisfied and happy with us. You are received a bit like cousins ( members of our family) we don’t see everyday but which we appreciate from the beginning. The key ingredients are we both speak foreign languages and are open minded. Wifi : We used to have the best ratings. Now most other ones have improved and they equal us. For me, it has always have been very important to have it in all the rooms, the pool area and very well. We are in the countryside. In 2018 we have found a solution to make better and we have video speed everywhere. In 2019, we are promised high speed network. I see it is not so good in some other places. Whereabouts : Ratings are high. As for Mas de la Beaume. 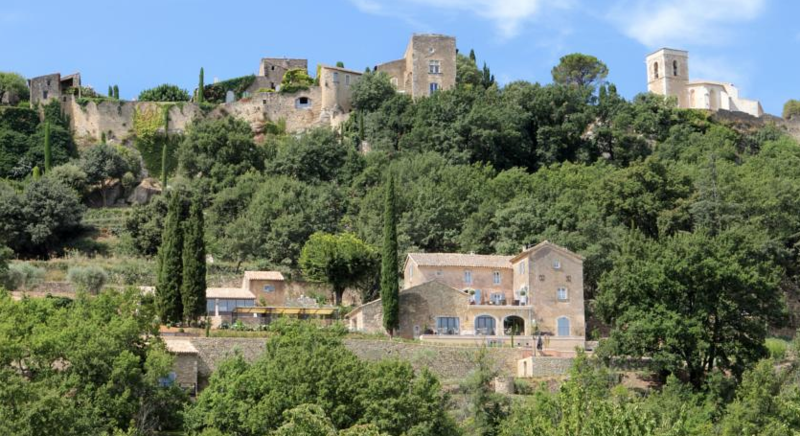 The property is just in front of the best sight-seeing place in all Luberon. And you get there hundreds of noisy tourists. At night, it is quiet. OK for short stays. Maison d’Hôtes – Domaine de l’Enclos advertising says they are a B&B. In fact it is a small hotel with the best view of all, very quiet but unfortunately lower than average interior design . Tripadvisor does not take them as a B&B. They are open all year and their preference is on volume ( They are the only ones to accept one-night stays and this way it is good). For a small and nice hotel in Gordes, consider Mas des Romarins which has one of the best values. They have a good restaurant with a view on the village. I cannot end up my review of our dear friends, without giving a special mark to “Les Terrasses Gordes b&b”. Eventually hey are the most similar to us and our taste. 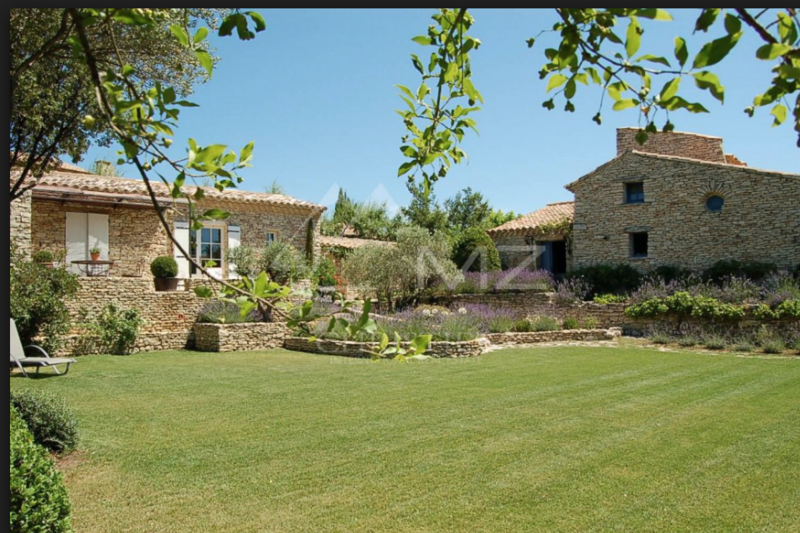 ” Les Terrasses” is nested on the outskirts ( Not very close) of Gordes. It is “human size” with just 3 rooms. Decor is pretty, good pool ( heated) ans when you know, you have the impression to come back to your home. A decisive point is the friendly style of the owner. He cooks marvelously ( not everyday) and globally it is a place where we would definitely stay. Excellent value. The only negative is they don’t have a secured parking. You are obliged to park on the street just in front. But the road is quiet. Personally, if you have “deep pockets”, I would have a look at Domaine de Fontenille in Lauris. That one is superb, it is #1 on Tripadvisor Hotels. Their Michelin starred restaurant ” Le Champ de Lune” deserves the trip. See also Bastide de Marie near Menerbes. Both are real sophisticated and “trendy”. I recently discovered another one : Villa le Haut Vallon. Villa Haut Vallon can be classified as a “Boutique Hotel”. It enjoys the best location right in Gordes ( but quiet and hidden) . The whole set-up is handsome and the decoration is of excellent taste. It even has a “chef” available all the time. Booking.com rating : 9,6. It is much above our rates but it holds a lot of value. A last point : In France, visitors can expect to have dinner at the B&B. At Mas des Etoiles, we don’t do it for a number of reasons. One is we have the unique advantage which is we are the only to have 3 restaurants in walking distance. L’Estellan is just across the street. So if you want to drink, there is no problem. Occasionally, I give a ride (free) to Gordes for the most cautious guests for Alcohol. Last News : Mas de la Beaume is now for sale by Christierealestate – Michael Zingraf (see website) at 2,907,000 USD ( 2,370,000 EUR). This is an indication of the market.